If your TCAD device simulations are taking too long, or if your TCAD can's simulate tens of transisotrs in one model, there is finally an option in the market. We are proud to present Genius, the next-generation 3D parallel device simulator. With our unique numerical algorithms, you can simulate more than tens of transistors in one TCAD model, with oven one million mesh nodes, and with a 5x to 10x speedup. 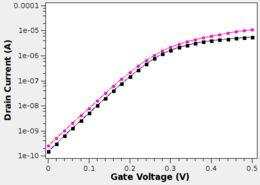 It's the first commercial TCAD device simulator that scales beyond the 10-transistor barrier. 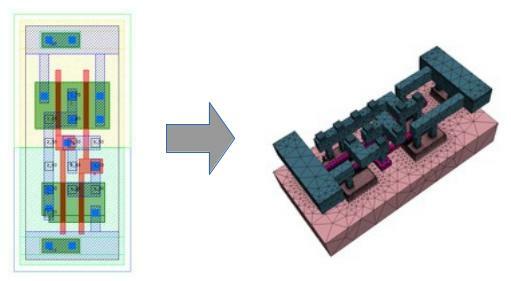 With Genius, one is able to routinely simulate circuit cells like inverter, 6T SRAM, latch and flip-flop, and expect 10 fold reduction in simulation run times. There are application examples for download. VisualTCAD is a graphical user interface for Genius device simulator. It's designed to suit novice TCAD users and students, and focuses on ease of use. Using TCAD has never been as easy, no more command line or coding is required. Beginners can learn intuitively, and will be able to get started within just a few minutes. On the other hand, using VisualTCAD doesn't sacrifice the power of Genius. All physical models and options of Genius are accessible with VisualTCAD. VisualTCAD is capable of device simulation of 2D and 3D, SPICE circuit simulation and mixed device/circuit simulation. 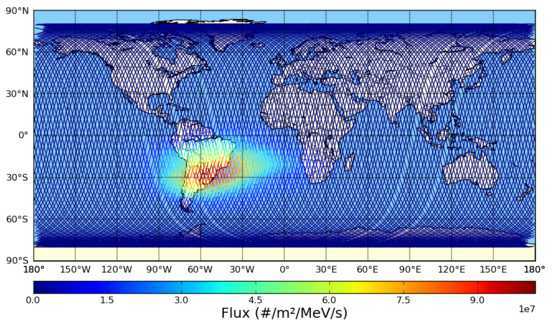 Want to have a deep understanding of high energetic particles passing through semiconductor devices? Monte Carlo simulation is the common way to do that. GSeat is a Monte Carlo simulation tool base on general purposed code Geant4. Gseat gives detailed trajectories of incident particle and delta particles, and also the deposited energy along the trajectories. It is designed to interface with Cogenda's Genius semiconductor device simulator and Gds2Mesh 3D model builder. These three tools forms the foundation of the SEE analysis package of Cogenda. VisualParticle provides a user-friendly GUI to GSeat. Get more information | Free On-line! 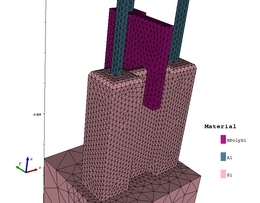 Different from the methods based on ground test, device-structure-based method uses (multiple weighted) Sensitive Volumes as the description of the device. Gds2Mesh is a 3D TCAD model construction tool. It takes GDSII mask layout as input, and construct device model with predefined and customizable process rules. Its geometric engine is capable of re-creating slanted STI side-walls, rounded STI corners, bird's beak and other details. 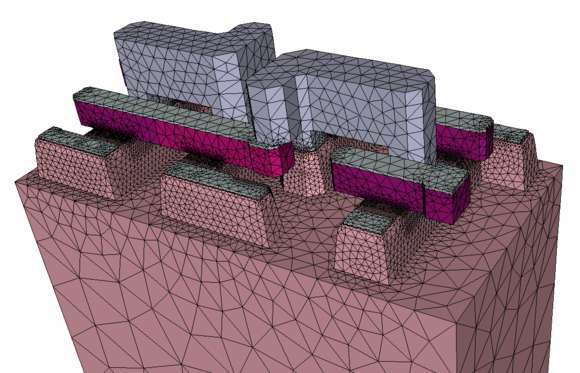 Mesh is generated automatically, and mesh in the channel and junction regions are refined for accurate simulation. The generated device structure can be imported in Genius for device simulation. 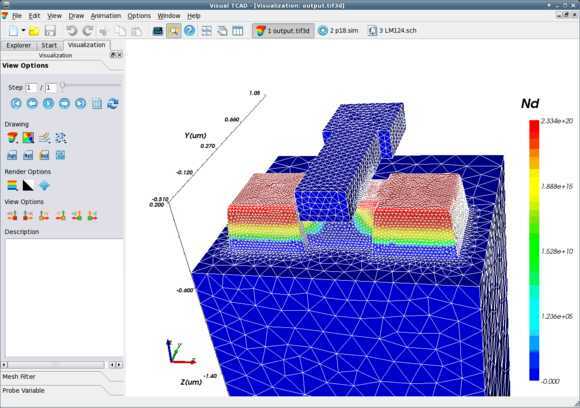 VisualFab is an integrated workbench for process simulation experiments. It adopts the concepts familiar to fab engineers, e.g. process module, split, wafer and split table. It also allows user to visualize these concepts and design experiments in a user-friendly GUI.